This item will be back in stock July 1st. Order now to reserve. 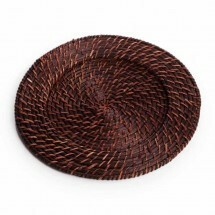 Whether you are hosting an outdoor event or serving food in your cafe the Koyal 402002 Brick Brown Round Rattan 13" Charger Plate is sure to enhance your food presentation. Boasting a woven design and a dark brown color, this charger plate is a great way to add rustic charm to your table settings. In addition, it has a spacious surface, so it can be used beneath standard size plates and bowls and will keep your table protected from messes and spills. Constructed from rattan, this charger plate offers unparalleled durability and will not get ragged and frayed over time. This piece should be washed by hand to keep it in excellent condition. Use it at outdoor events to create a relaxed yet elegant table setting. Q: I see that bulk pricing is available. What would be the price if I ordered 240 pieces instead of 24? How long would it take to receive in California? 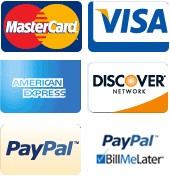 A: For bulk pricing inquiries, please call us at 877-747-0111.